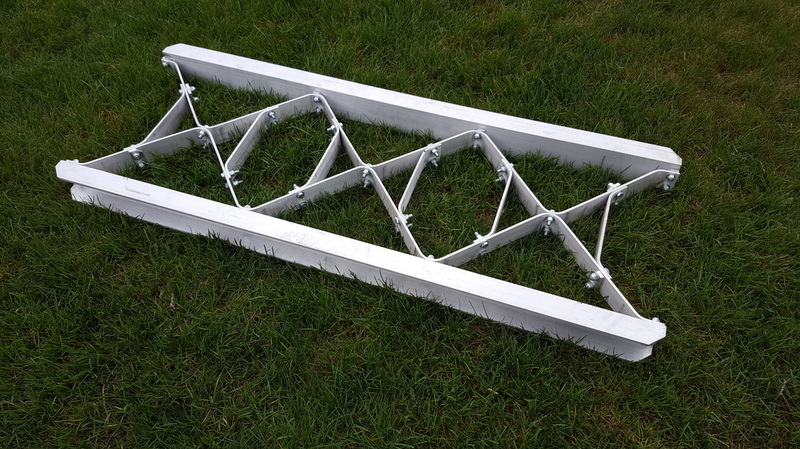 Our standard bridging ladders are 48" long and either 16" or 18" wide, depending on how they are assembled. When used for bridging these ladders are rated to carry 2000 pounds each, or 4000 pounds per axle and only weigh 17 pounds each. 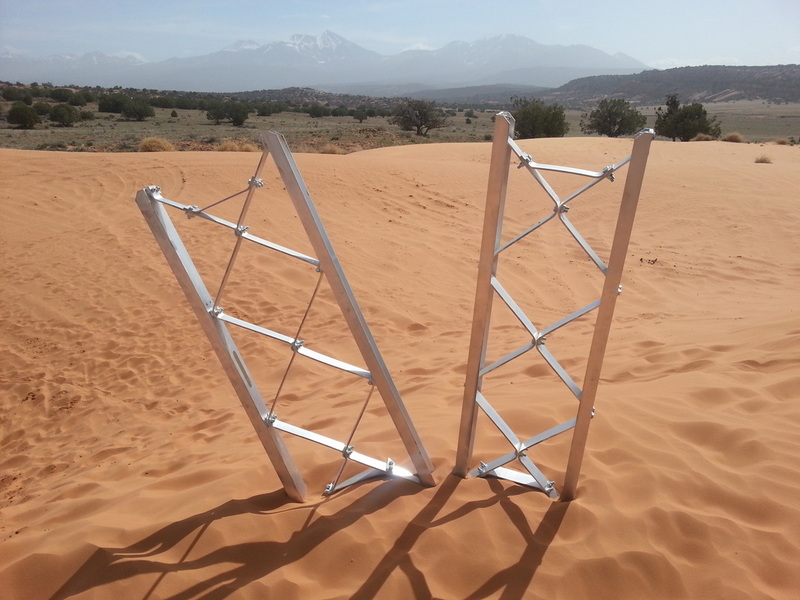 Use these to span a washout, climb or descend ledges or boulders, or give your vehicle a little boost when you are in danger of bottoming out. These are also very effective at extracting your vehicle if you have become stuck. These have been tested and found to work well in snow, sand and mud. The inset ends greatly reduce the tendency for the ladders to kick up into your vehicle when driving onto them and the open grid allows the ladders to hold fast in the terrain while you drive over them, rather than sliding and being propelled rearwards by your tires. The grip cleats protrude below the side rail and hold the bridging ladders even more securely to the ground. The grip cleats are a great advantage when the bridging ladders are used on rock, ice, or other smooth surfaces. These bridging ladders are beefed up to handle the weight of larger vehicles and are rated to 7000 pounds per axle. These will help the full size guys get to where they are going and back again.